As part of a trip to hike Mt Whitney, we started off "easy" with Mt Dana for an acclimatization hike. 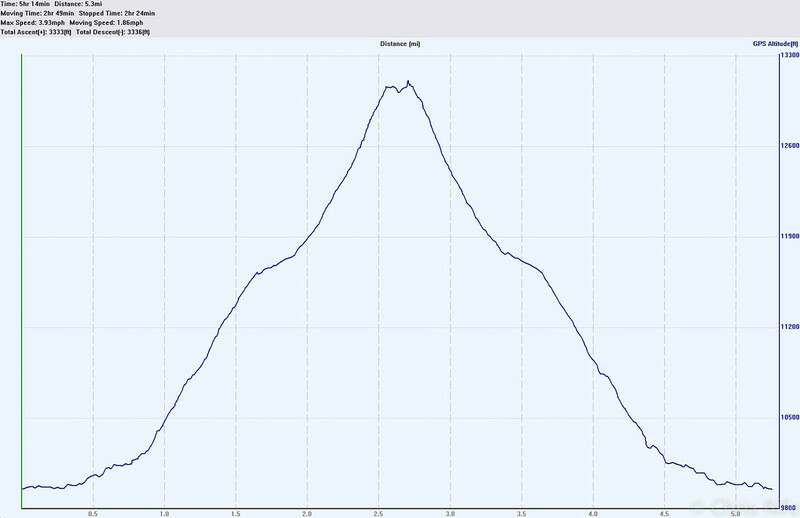 From what I had read on the web, it sounded like it was just a "use" trail up to the summit, so I was surprised to see that it is in fact a well established trail with cairns leading you all the way to the summit. There were a few places near the top where it was a little tricky to follow the trail, though interestingly I didn't have any such issues on the way back down. Why yes, it is quite steep! As that layer of smoke and smog got closer, the visibility decreased and the air become much less pleasant to breathe. Flatest part of the hike. Sorry if these next two are too wide to display correctly. Heading back down. The trail is quite obvious here. Not much signage just yet. And finished it off with dinner at the Mobil Station and sunset at Mono Lake. The rest of the pics are here. 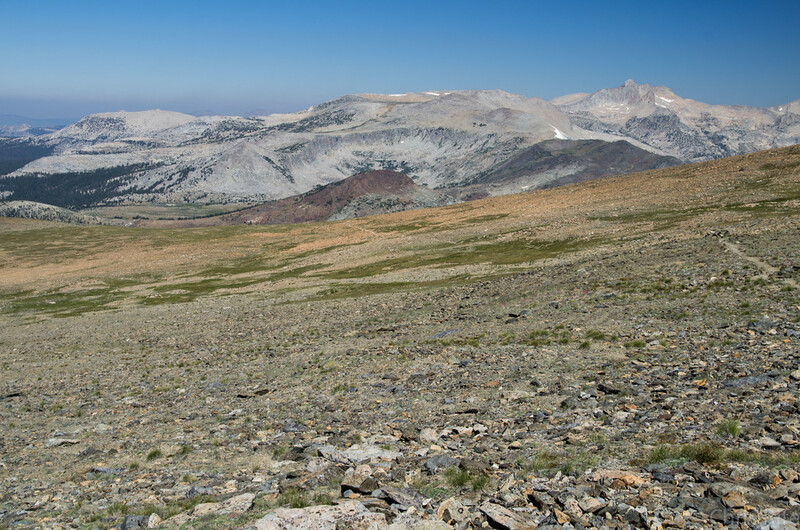 And if you're interested, pictures of the Mt Whitney hike are here. The cairns weren't there last August and were there this June.Maybe someone knows who and why? I bet they are built and knocked down all the time. The cycle simply continues. I saw one that was like 4 feet tall at El Capitan summit a few years ago. I went back last year, and it wasn't there anymore. Thanks for posting. Sounds like a fabulous hike. How long did it take you? 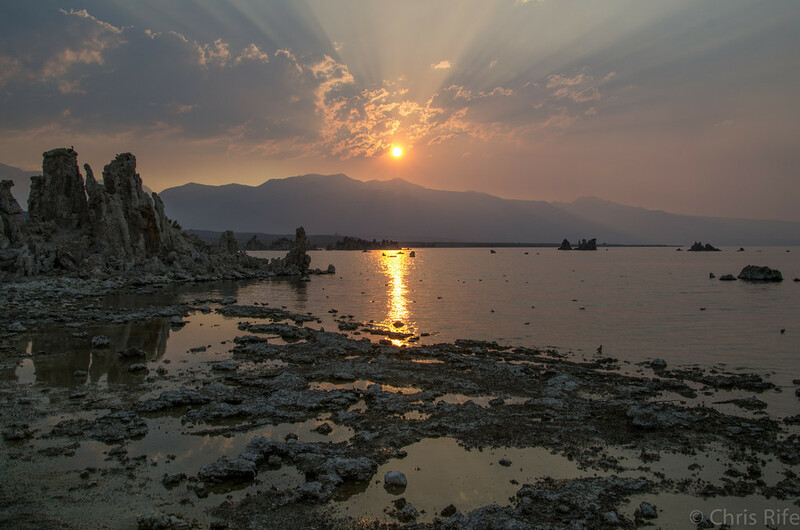 Love the pictures, particularly the Mono Lake one, just magical. I think it took us about 6 hours total. The final ascent is pretty challenging due to so much loose rock and the general steepness. It was a very nice trip, though I'm glad we got an early start as those that came later would have had their views substantially impacted by the smoke. When I got to the summit I had it to myself for ~15 minutes, which was very cool. The trail is an actual maintained one now. When I went up they would have been under snow. The one big one has been there for many years. Great pics. They remind me of my time there last month. Love the Mono Lake shot, fantastic. I was a bit gutted to have missed Dana on my recent visit. I was on Gibbs, and wanted to traverse to Dana, but was too tired, and a couple of hours behind schedule. I'll get it one day! What are people's thoughts on trail markers like that? Part of me wishes they weren't there. Most of us wish they weren't there. Some of us even tear them down. It's supposed to be the wilderness, after all, and I don't want evidence of people, if I can avoid it. 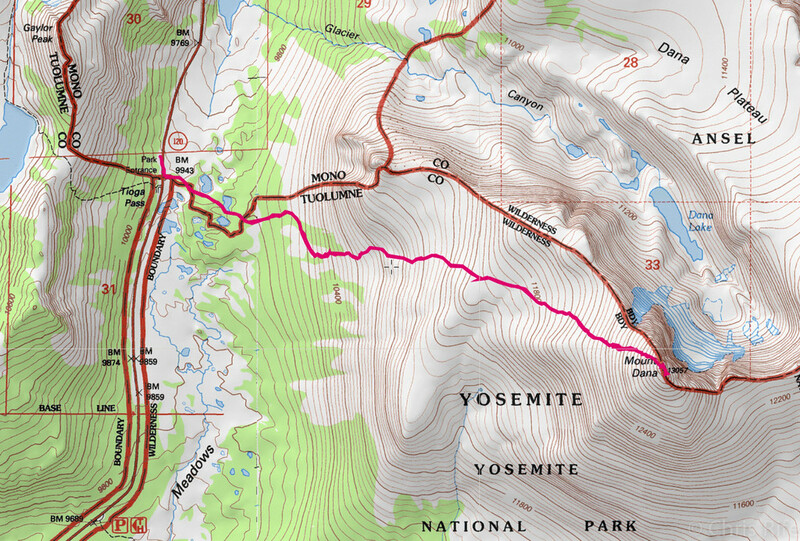 When I hiked near the 120, after a couple of lonely days at Mono Pass, and Gibbs, I hated it. I am amazed that the trails are so maintained too. +1 to that! The wilderness should be just that, wild, with as little visible impact from humans as possible. Leaving rock piles... don't get me started. We were knocking down piles on the Ten Lakes trail Sunday on the way home. They serve no useful purpose. The trail was obvious! 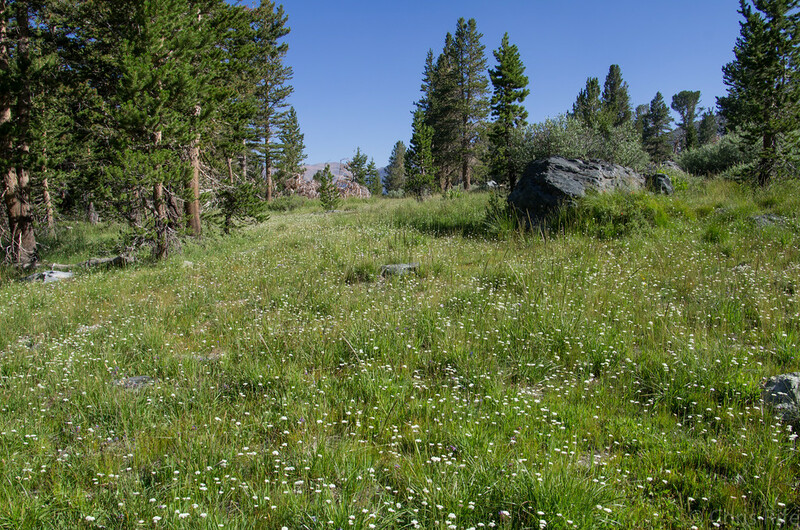 What part of Leave No Trace is hard to understand? Sigh... I used to think it was ignorance, people just didn't know... but unless there is a huge influx of newbies who don't bother to do any research before going backpacking and have no care for the world around them.. I'm thinking people just don't care. It's disheartening. We packed out one mylar ballon, a few little bits of plastic, a tear-off metal lid from a like a metal fruit cup or something, and a big steel box. The box was weird. And we debated, since we were deep XC and miles to go to home... but we packed it up and hauled it out. And knocked rock piles over on the trail as we headed out. They hadn't been there the day before when we headed in... So very frustrating. I believe that they -- the useless type of cairns -- are part of the pitiful reaction to today's social anonymity (no need to call, you can always text...no need to meet up, you can skype...etc) They are much like the ever expanding graffiti problem in the cities "Hey! Look! I was here!" Edited 1 time(s). Last edit at 08/14/2013 09:09PM by Bee. It's gotten worse over the years imho. 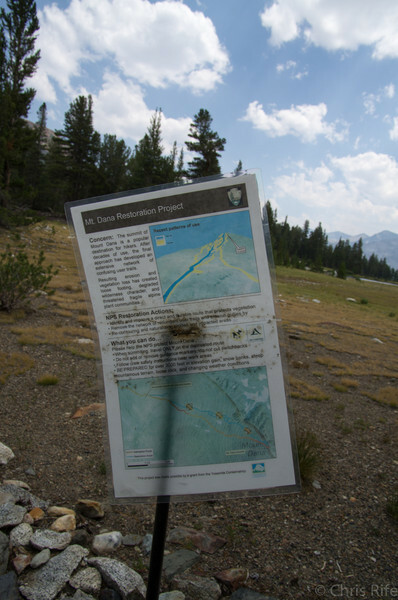 The trail crews are out "fixing" the trail every summer. to be honest. The cairns... yeah, I've whined about those a zillion times on this forum. What I find myself doing more and more nowadays is simply doing nearly all xcountry. for with the permit... not their problem. She is at wits end about it really. Thus my comments recently about a plea to people to simply follow the very simple rules. In regards to this, I'm old school: I blame the individual's parents (for their failure of a proper upbringing of their child). My theory: what we're seeing now are the results of the "a child can do no wrong" philosophy of child rearing. Too many of today's young adults are self-absorbed, self-centered and narcissistic as a result. 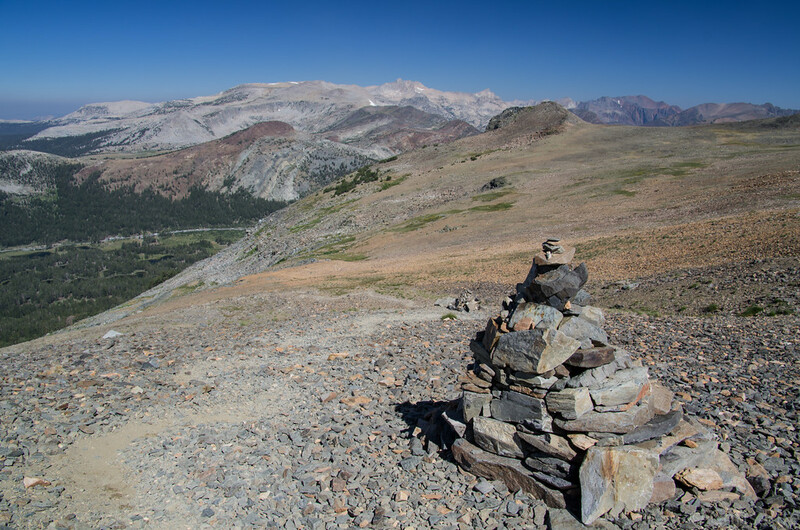 Those who create these cairns expect to be praised for their creatively and artistry, not scolded for creating an unnecessary man-made eyesores pockmarking the wilderness. They do these things because no one has ever told them that it's wrong to do so. And even if they're told what is expected of them in the wilderness by someone who's not their parents (the wilderness ranger), they don't believe that these rules (like using a bear-resistant canister or the prohibition of feeding ANY wildlife) applies to them. Edited 1 time(s). Last edit at 08/14/2013 10:20PM by plawrence. I know I am in danger of expressing my ignorance every time this topic comes up but it seems to me to be a far cry between leaving trash out, feeding wildlife, not using bear canisters, etc. vs. using or building cairns. Lumping all that together just doesn't seem logical. I normally carry a bag to pack trash left out by others and while I don't build cairns, I just don't care about them. Some of us are somewhat experienced hikers, but still need trail markers/cairns to find our way. The cairns don't have to be a 'monument' like in the pictures, but if the trail isn't clear, it is somewhat necessary. 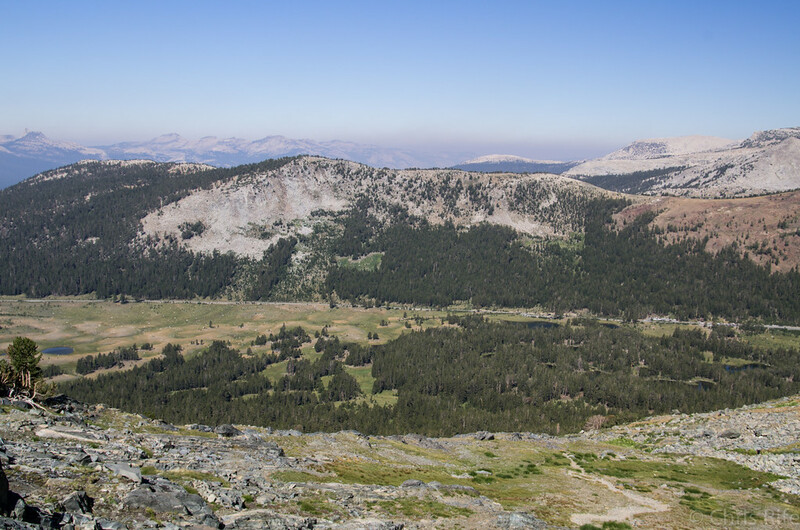 I've never done Dana, just looked at it from Tioga Road. Maybe next time. Yeah, I've harped on this a lot. It's on the list of "ok, just don't mention it again" ... but eventually... isn't enough just enough? To me it's in the same realm as having a campfire nowadays. It's just plain not necessary. nowadays (from ALL over the world) that we need to think about what we are doing. I dunno. Maybe I love the place too much. No, you don't love Yosemite too much. One can't love Yosemite enough. We're trampling it to death! We're trashing it to death! We're feeding the wildlife to death! We're overcrowding it to death! Just think about a seeing a bunch of small erratics that have been sitting in the same place for a long time. Oh wait someone moved them to mark a trail or to make some design. Definitely LNT should always be the priority. Was this a natural BK stacker? Your bawkness seemed to enjoy it. bawk bawk...quack quack. I didn't do it... Just took picture and knocked them over. Foot+-high stacks of balancing rocks not far apart from each other when the trail is very obvious? That's just saying "Look, I've been here!" It's rock-graffiti, as Bee was saying. Why can't we just leave the scene looking as natural as we can so the next person that comes by can have the same experience. Instead, these rock piles scream "a person was here and wanted to leave a mark!". Leaving a gratuitous rock pile is definitely not in the Leave No Trace ethic. When we leave an area, I always check to make sure that if someone should come through, they would not know we had ever been there (once the footprints even out with weather - and even then, I try to hike on durable surfaces whenever possible.) That means the obvious: no trash or debris left behind. But also means nothing out of place: if we shifted a rock in a campsite for some reason (which we try not to do), we put it back in its place. I guess some of our desert training comes into play here... There are delicate cryptogamic soil conditions in the desert. Once disturbed, the organisms can take years to a century to recover! 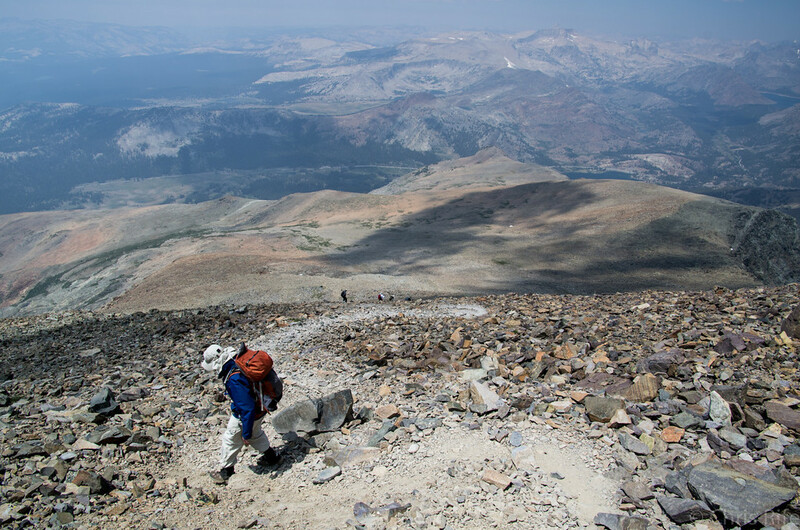 I have never forgotten my lessons from the desert and try to hike in the Sierras with as much care. Over-turning a single rock, if it has been there for years could disrupt a tiny ecosystem. Why should we impact our surroundings for no good reason? Why do we go backpacking? For me, it is to get closer to nature, to experience natural beauty. And I want everyone after me to have the ability to have the same experience I had. And I would very much appreciate it if others would be as considerate. Hear, hear, JKW. Good note on the effect even minor disturbances may have. I sometimes use rocks (not embedded if possible) as anchors for groundsheets or to pitch a tarp, but I always try to disperse the rocks in the area again for LNT. I don't like to be blasted with evidence of others, so I try to pay it forward. Thanks VitaminC for sharing your trip with us . Those panorama shots are spectacular! Pardon what is probably a dumb question, chick-on, but I'm thinking you're referring to the camp being so close to the water? I just want to make sure I'm not missing anything else in that scene. Edited 1 time(s). Last edit at 08/15/2013 01:36PM by HikingMano. While the quote was about the Grand Canyon it is true of any National Park, National Monument, or National Forest. as true today as when first uttered. It used to be the Army, when they were the protectors of our National Parks, would make people remove their marks of presence that announce the people who visited....perhaps we need more of that. They aren't anywhere close to being in the legal camp zone. This is right near the Twin Bridges. Before Tuolumne Falls... well before Glen Aulin. Ah! I see it now. Obviously I need to get more time in to recognize spots at first glance.... Thanks! As far as the LNT idea, I look back at my own evolution of what that means. In the early eighties in Colorado, I burned my toilet paper, had a fire every night, didn't have a water filter (I know, that is not a LNT item, just an idea of the evolution). I have learned new techniques to make our trip easier on the environment. I also take pride in teaching my son to hike in "stealth mode." I think some people have not had the time to evolve their style. Finding appropriate places to pitch a tent, less camp fires, packing out TP and not making pretty cairns that people will enjoy are a few things that stronger education would help. Maybe a company like REI could do a campaign on it (on one of their tons of printed flyers I get in my mailbox every week). All I can say is that thank God the trail of destruction is generally only on a thin small ribbon through a beautiful wilderness. [...] All I can say is that thank God the trail of destruction is generally only on a thin small ribbon through a beautiful wilderness. I'm with your stance on this. Some of those cairns can be helpful & reassuring, at times. But I don't go looking for them, and I probably don't even see most of them. I don't build them either. There are much worse things to be worried or pissed about. I'd say drivers that keep their high beams on, don't signal when making lane changes, tailgate, and speed through certain areas w/o regard for bears, deer, etc. I know which group I'd eliminate first, if given the power and choice. Certain chickens probably think I have feelings for cairns when I went "quack quack quack" - didn't knock a few down, perhaps thinking it would upset me. Reality is I don't care either way, ta hee hee. Some of those cairns can be helpful & reassuring, at times. But I don't go looking for them, and I probably don't even see most of them. I don't build them either. There are much worse things to be worried or pissed about. I'd say drivers that keep their high beams on, don't signal when making lane changes, tailgate, and speed through certain areas w/o regard for bears, deer, etc. I know which group I'd eliminate first, if given the power and choice. To be fair, here, I do not believe that anyone who has voiced an opposition to the cairns is objecting to those that serve a purpose (although I would say that "reassuring" is a very broad spectrum at best). The picture above, as posted by Chick-on, that depicts some sort of demented version of either Stonehenge or the universe is just plain....perverse when set in the backdrop of the most beautiful place on earth (my good self being subjective, of course) It demonstrates an attitude that when expanded apon, can be far more frightening and destructive than those other items mentioned above, due to the fact that no amount of regulation or uniformed presence can discourage it. A good look at the profound abomination that has taken place around Mirror Lake(? )(insert picture please) that showed hundreds -- or more-- piles of rubble can never be 'put back' -- Never! My fear is that some day, those very same folks will decide that the erratics along the Murphy Creek Trail are just not "cool enough" as is, and rearrange them....gone forever the rocks that correspond with the skid marks brought on by glacial creep. I digress. Maybe it all doesn't matter anymore, but based on my pals, I am reassured that it DOES really matter. Edited 1 time(s). Last edit at 08/15/2013 09:14PM by Bee. I promise I am not trying to be hard-headed or offensive and truly think I may just be plain ignorant. But aren't most erratics, at least the impressive ones, for the most part immovable? And the part I may be ignorant about it is seems to be an assumption that folks who may participate in activities such as the Mirror Lake "Rock Garden" would be the same ones breaking all kinds of other rules. I don't necessarily see that connection---but again I may just be off. Even the Mirror Lake thing, one spot, easily avoided or passed by...not really wilderness in the Valley anyway. Erratics come in all sizes; I have seen many that were small enough to pick up. Yes, I suppose that we can set aside non-wilderness type areas -- the ones that have already lost their luster due to traffic, accessability, etc.-- for creative expression. As for the future 'potential' for rock-stackers? It's all in the attitude. Would it be ok on top of North Dome? Lone Boulder with 100 rock stacks around it? and build 100 rock cairns? Is that ok? No need to respond. Just something to think about. And don't for once think I think I'm sooooo above everything. I don't. for now... I like to think I am a bit wiser now. Sure, snow and ice move the smallest erratics around a bit but that's a natural process. Most erratics, left untouched, are pretty much where they dropped out of the last retreating glacier 15,000 years ago. They should not be moved, stacked, or placed in rings large (primitive Stonehenge) or small (fire rings). One can take particular pleasure passing through a cluster of erratics, knowing they came to rest right where they sit today several thousand years ago. Along comes unthinking human--human moves erratic--15,000 years of history is suddenly changed! Yes, I know. It's just a rock. So is all of Yosemite. Edited 1 time(s). Last edit at 08/19/2013 12:48PM by tomdisco.